This entry was posted in Uncategorized and tagged Christmas, lego by smotlrcblog. Bookmark the permalink. Oh wow … that’s one impressive tree! … and you’re returning in 2015? Looking forward to catching up. Lovely to hear from you Mrs H! It certainly is a very impressive tree! There were lots of people having their photos with it on the day. I really liked Santa with his surfboard to add an Aussie flavour. Looking forward to catching up online and hopefully in person in 2015. Lovely to hear from you Karen! It was fascinating to look at the various pieces to see how they were constructed and the numerous Lego pieces used! Great to hear you too have taken some time to relax and recharge. Wishing Christmas peace and joy to you and your family. Wow, that’s a HUGE tree!! It would’ve been cool to stand next to something as big as that. It was cool! The tree and all the other Christmas pieces filled the Pitt Street Mall with a lovely spirit of Christmas. Lego crosses all barriers, age, race and gender. Such creative pastime. I’m sure everyone was in awe of the Christmas tree in Sydney. You’re definitely right about Lego! I’m hoping we can buy some for the LRC this year for students to do some creating of their own at lunchtime. 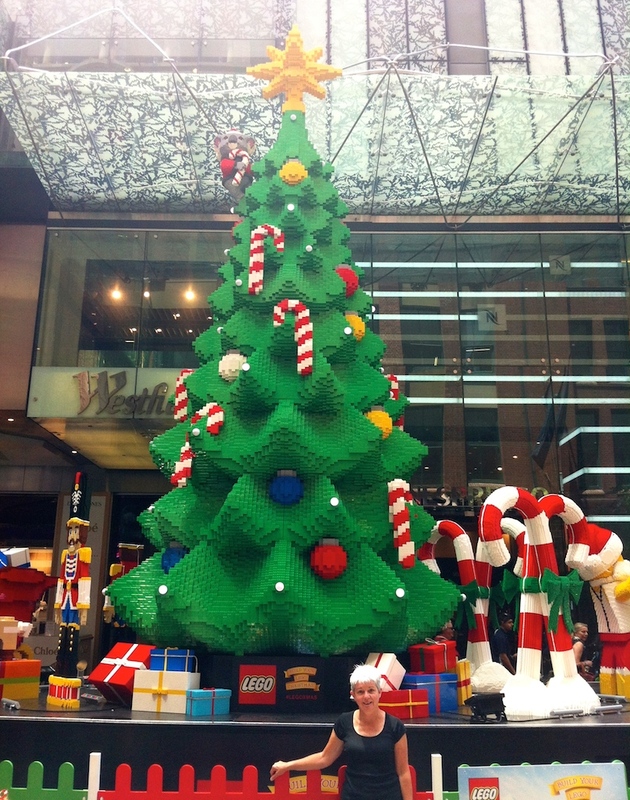 It’s amazing to see a lego Christmas Tree. That’s probably the first and last I’ll ever see. Can’t wait to see you!! 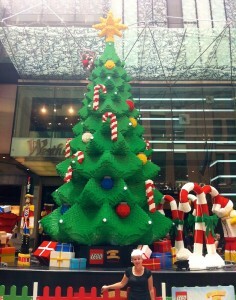 The Lego Christmas tree was huge! I really like the Aussie Santa. I was really pleased when I found the videos of how the tree was constructed as I wondered how it was put together and how long it took. Only two more sleeps until you officially begin your year in 5DV…. Welcome back! I can not believe how huge that Lego Christmas tree was. The fact that it lights up is amazing. Thank you! I enjoyed catching up with 4G in the LRC this afternoon. I felt very small next to the Lego Christmas tree and was amazed by its size. I would have liked to have seen it all lit up at night as it would have been very impressive!